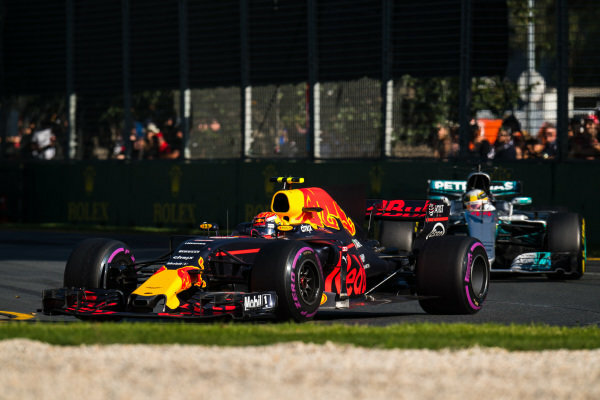 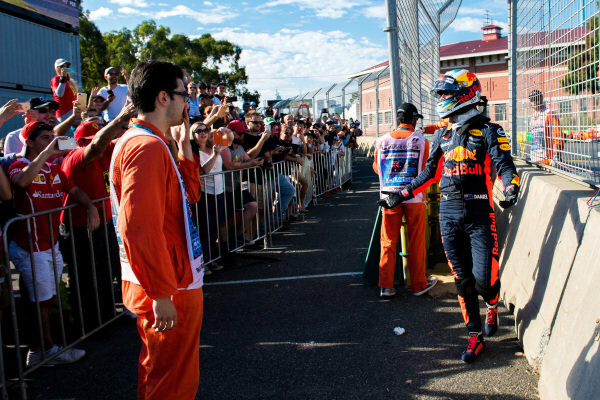 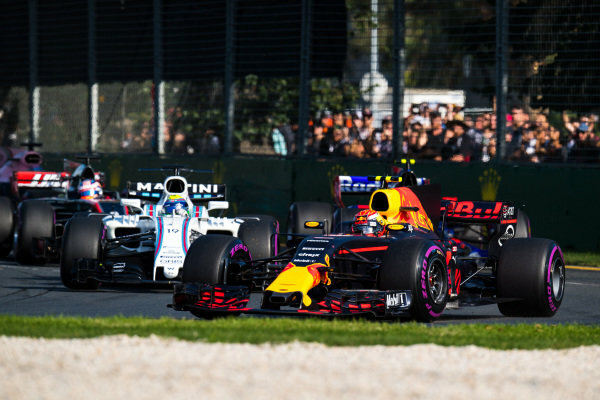 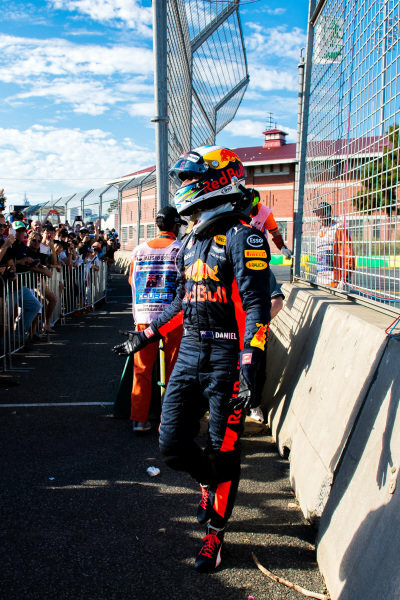 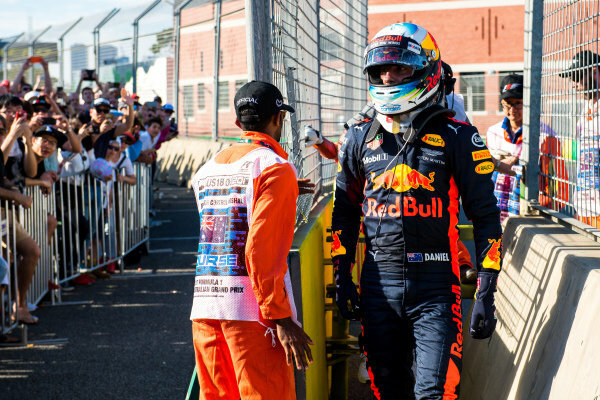 Race retiree Daniel Ricciardo (AUS) Red Bull Racing at Formula One World Championship, Rd1, Australian Grand Prix, Race, Albert Park, Melbourne, Australia, Sunday 26 March 2017. 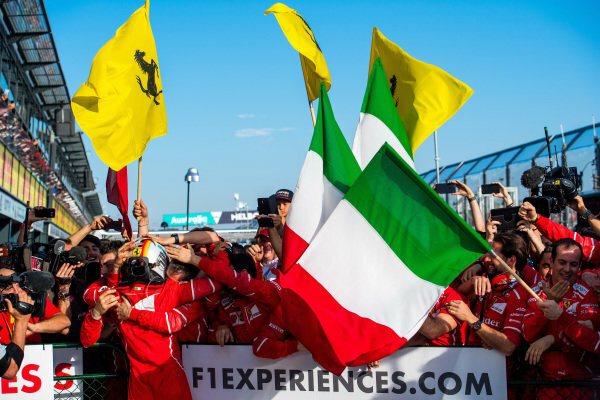 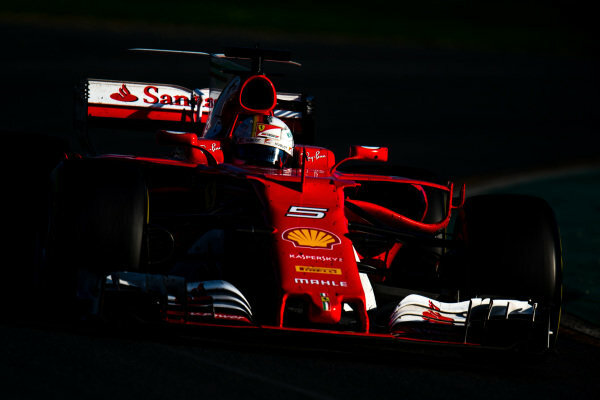 Race winner Sebastian Vettel (GER) Ferrari SF70-H celebrates at the end of the race at Formula One World Championship, Rd1, Australian Grand Prix, Race, Albert Park, Melbourne, Australia, Sunday 26 March 2017. 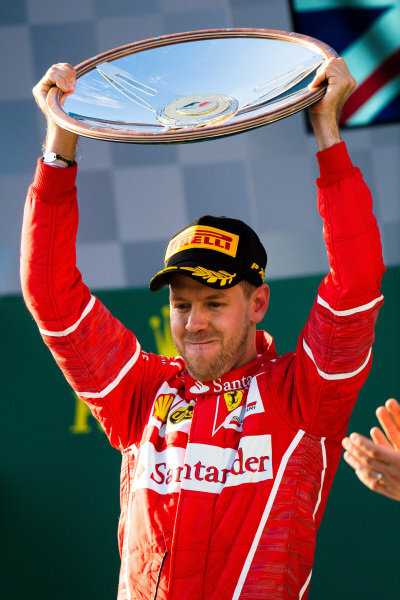 Race winner Sebastian Vettel (GER) Ferrari celebrates in parc ferme at Formula One World Championship, Rd1, Australian Grand Prix, Race, Albert Park, Melbourne, Australia, Sunday 26 March 2017. 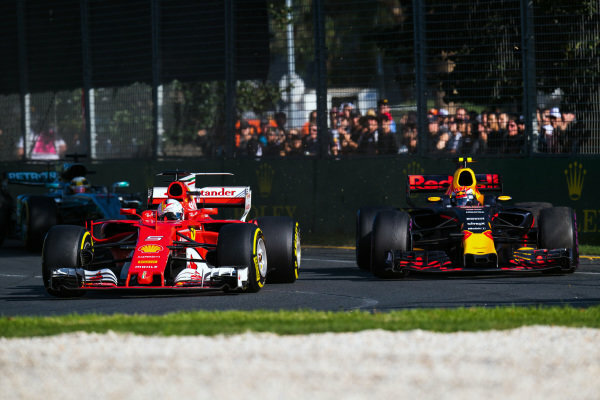 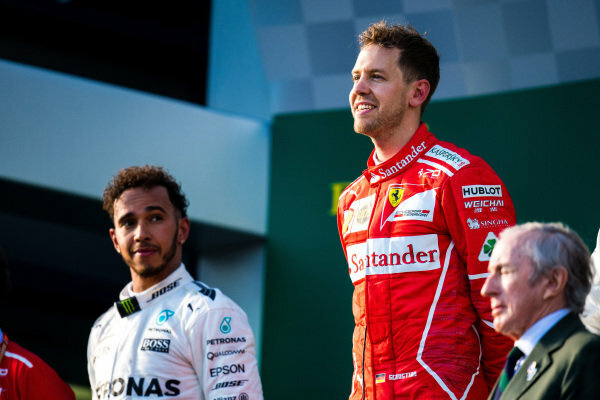 Lewis Hamilton (GBR) Mercedes AMG F1 and Sebastian Vettel (GER) Ferrari on the podium at Formula One World Championship, Rd1, Australian Grand Prix, Race, Albert Park, Melbourne, Australia, Sunday 26 March 2017. 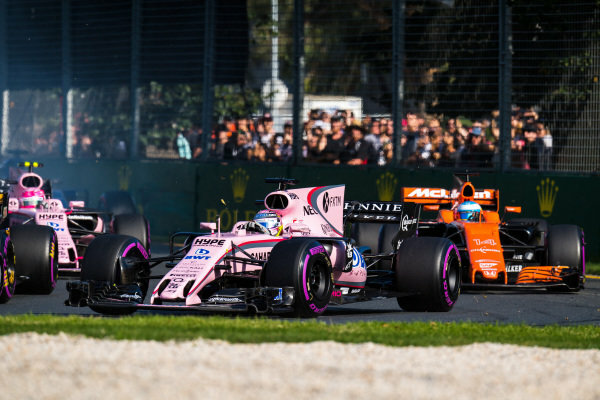 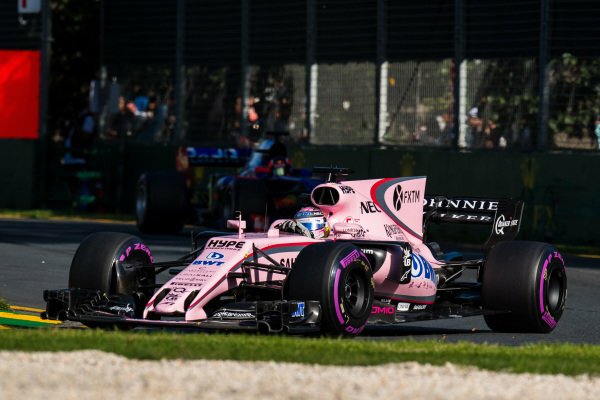 Sergio Perez (MEX) Force India VJM10 at Formula One World Championship, Rd1, Australian Grand Prix, Race, Albert Park, Melbourne, Australia, Sunday 26 March 2017. 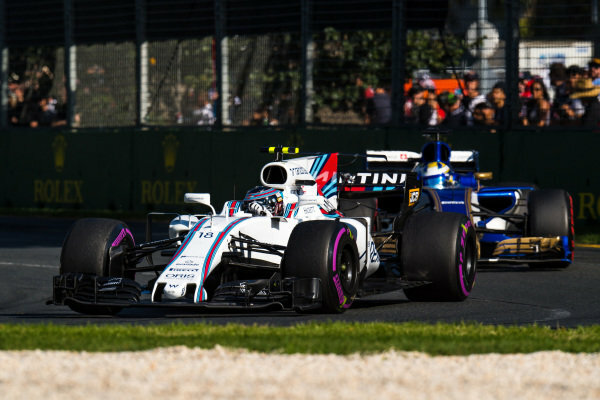 Lance Stroll (CDN) Williams FW40 at Formula One World Championship, Rd1, Australian Grand Prix, Race, Albert Park, Melbourne, Australia, Sunday 26 March 2017. 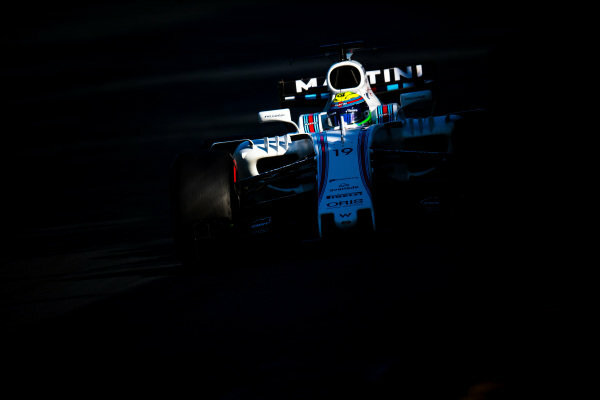 Felipe Massa (BRA) Williams FW40 at Formula One World Championship, Rd1, Australian Grand Prix, Race, Albert Park, Melbourne, Australia, Sunday 26 March 2017. 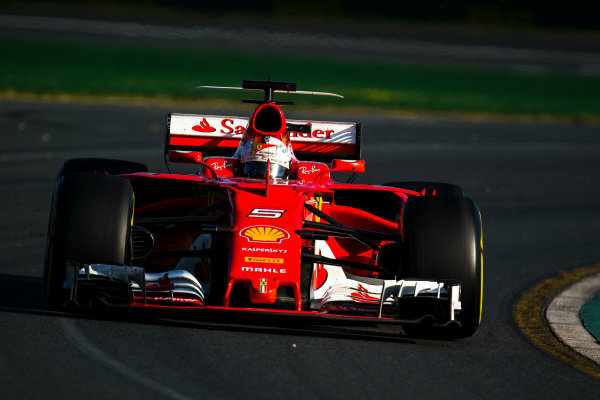 Sebastian Vettel (GER) Ferrari SF70-H at Formula One World Championship, Rd1, Australian Grand Prix, Race, Albert Park, Melbourne, Australia, Sunday 26 March 2017. 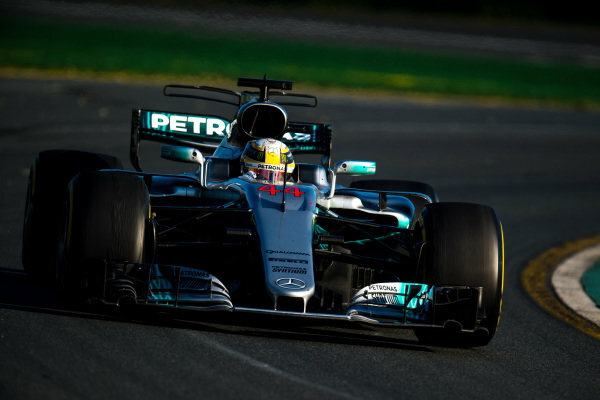 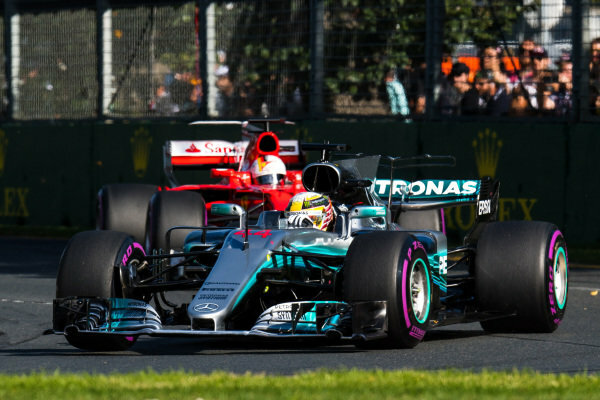 Lewis Hamilton (GBR) Mercedes-Benz F1 W08 Hybrid at Formula One World Championship, Rd1, Australian Grand Prix, Race, Albert Park, Melbourne, Australia, Sunday 26 March 2017.
at Formula One World Championship, Rd1, Australian Grand Prix, Race, Albert Park, Melbourne, Australia, Sunday 26 March 2017. 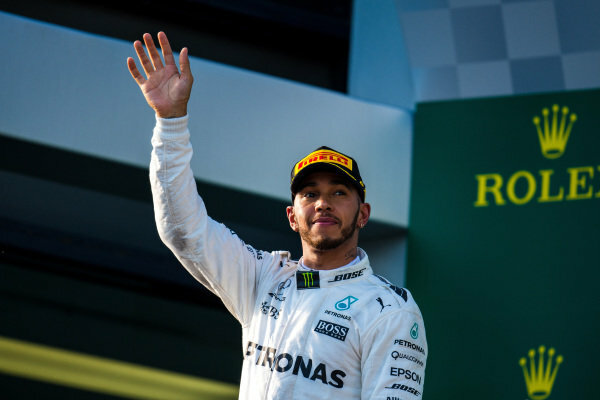 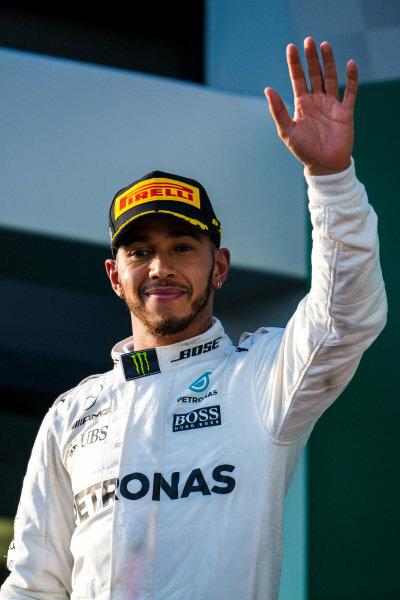 Lewis Hamilton (GBR) Mercedes AMG F1 celebrates on the podium at Formula One World Championship, Rd1, Australian Grand Prix, Race, Albert Park, Melbourne, Australia, Sunday 26 March 2017. 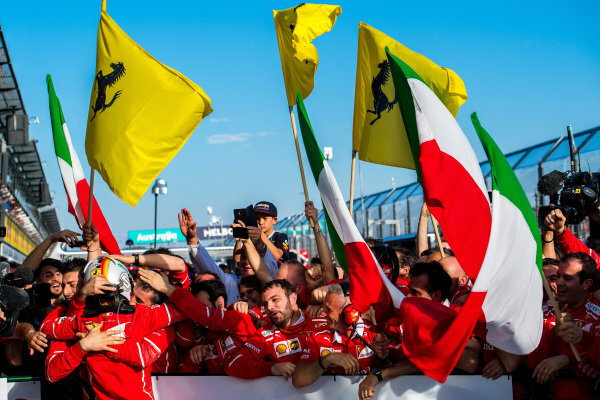 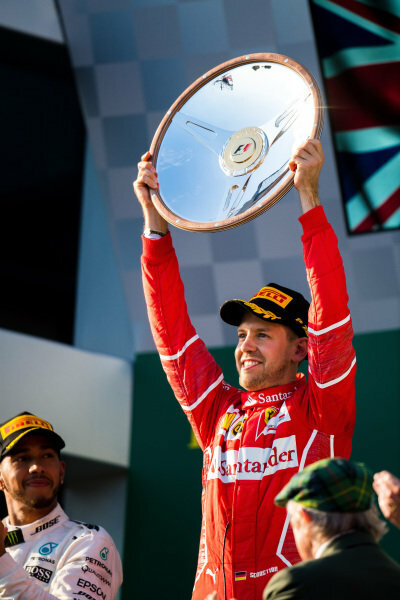 Race winner Sebastian Vettel (GER) Ferrari celebrates on the podium with the toprhy at Formula One World Championship, Rd1, Australian Grand Prix, Race, Albert Park, Melbourne, Australia, Sunday 26 March 2017. 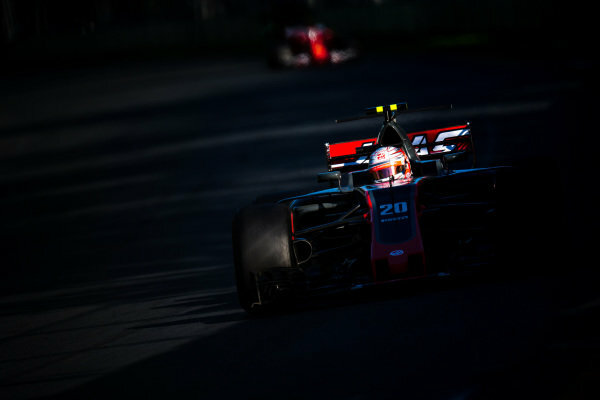 Kevin Magnussen (DEN) Haas VF-17 at Formula One World Championship, Rd1, Australian Grand Prix, Race, Albert Park, Melbourne, Australia, Sunday 26 March 2017. 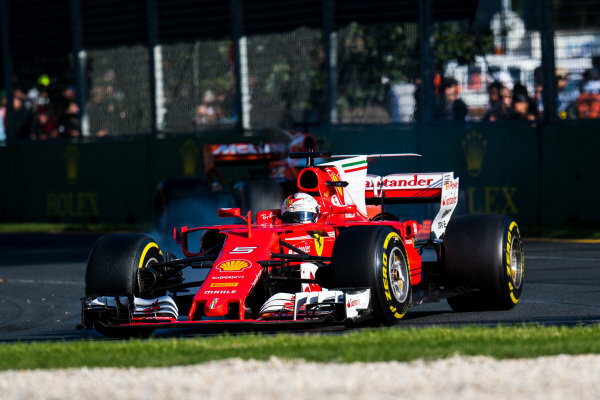 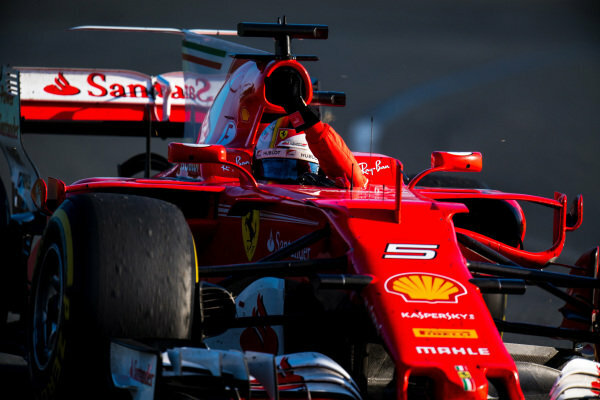 Sebastian Vettel (GER) Ferrari SF70-H locks up at Formula One World Championship, Rd1, Australian Grand Prix, Race, Albert Park, Melbourne, Australia, Sunday 26 March 2017.